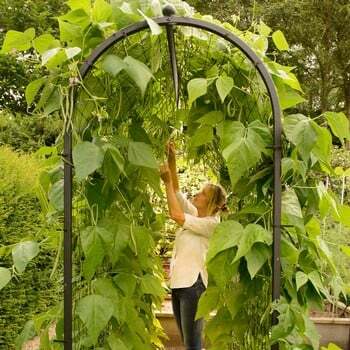 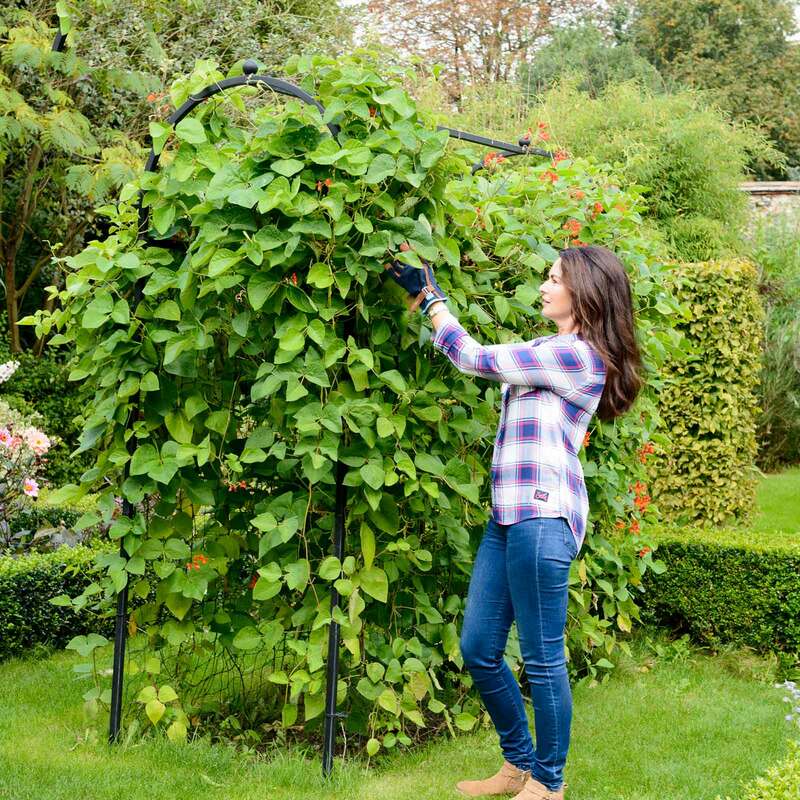 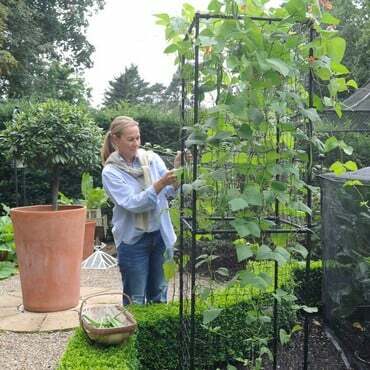 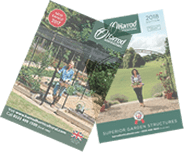 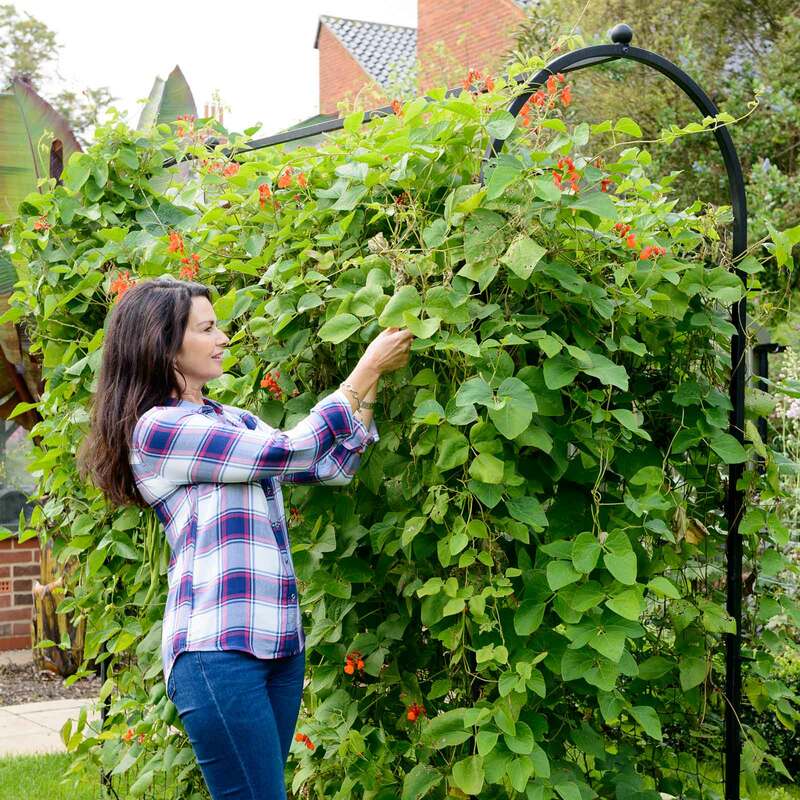 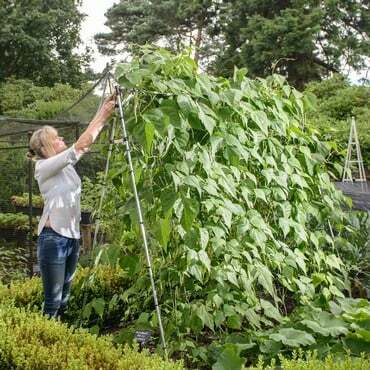 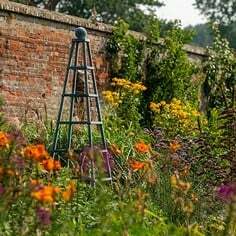 Manufactured in the UK to the highest standards, the Superior Bean Frame comes with a 10 year guarantee and is the ideal growing support for runner beans. 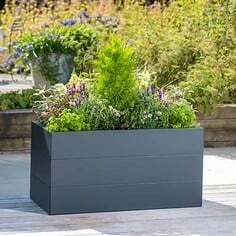 The frame is manufactured from 1" steel box section, galvanised inside and out and powder coated matt black for a long lasting weatherproof finish. 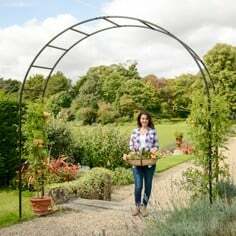 Each arch in the frame is secured with long lasting steel reinforced fixings and topped with a distinguished sphere final. 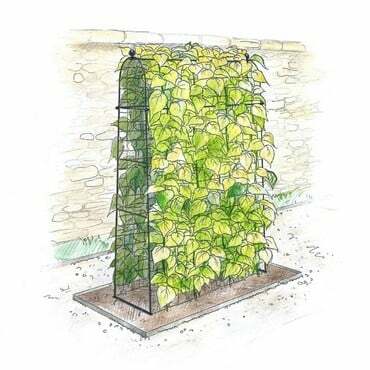 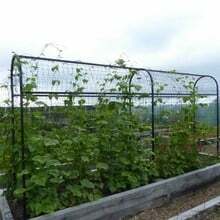 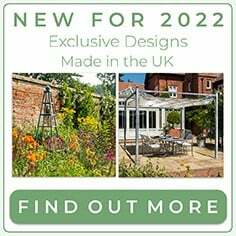 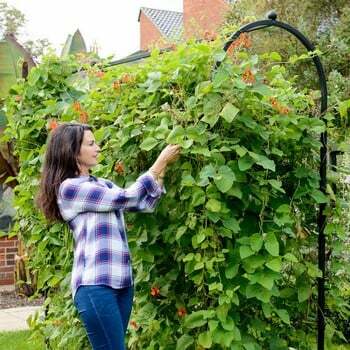 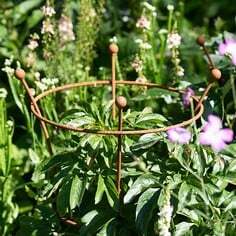 The frame is fitted with our premium 80mm/3" knotted mesh netting, providing strong support for your climbing bean plants. 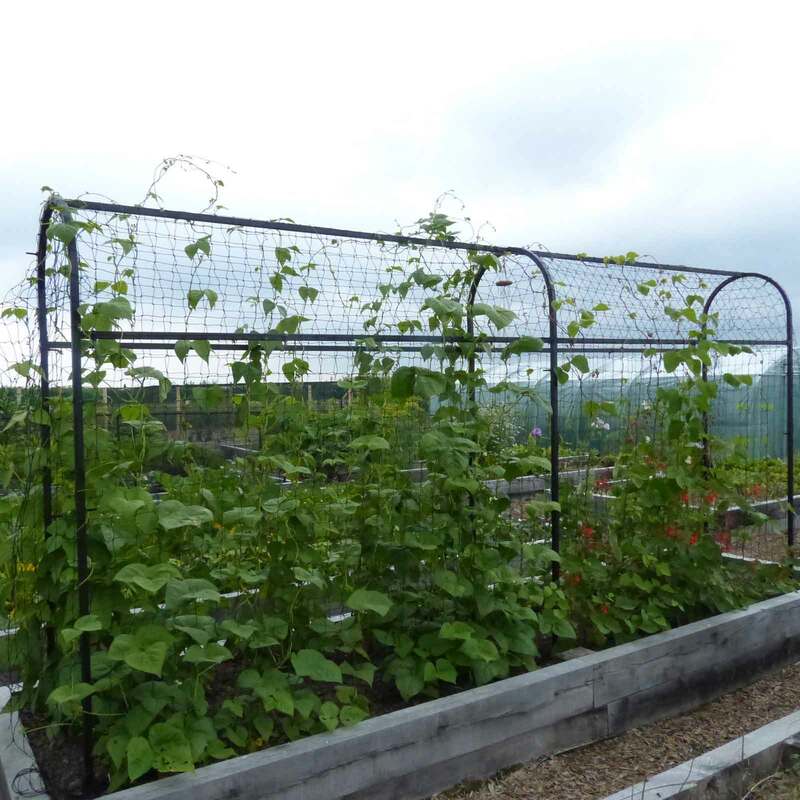 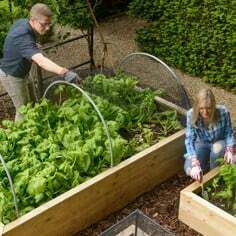 The netting helps to keep plants upright for better circulation, cleaner crops and fewer disease problems. 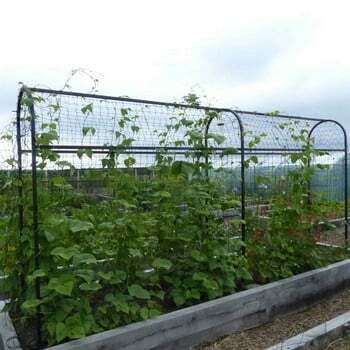 The mesh is large enough to get a hand through for harvesting and is strong enough for plants to be torn off at the end of the season. The bean frame is supplied in 2m or 3m starter kits (both have 2 ends) with 2m or 3m extension kits (both have 1 end) also available to achieve the overall length required. 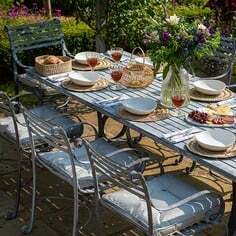 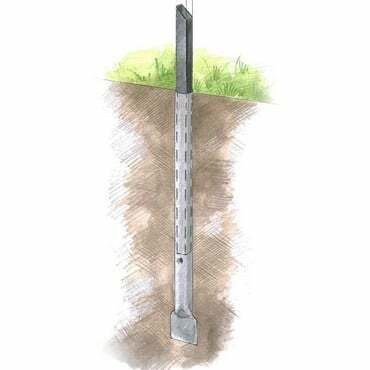 Frame stands 2.28m out of the ground (inserts 30cm into ground) and is 0.8m wide. 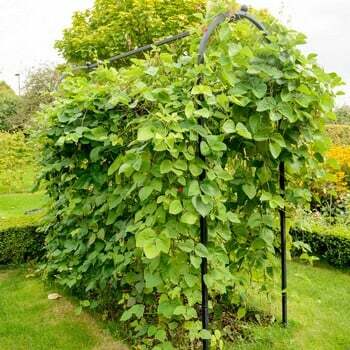 My wife Jean bought me the frame for my 70th birthday in the spring of this year, and living on the Isle of Wight, I took a chance and planted my runner beans around the frame in late April. 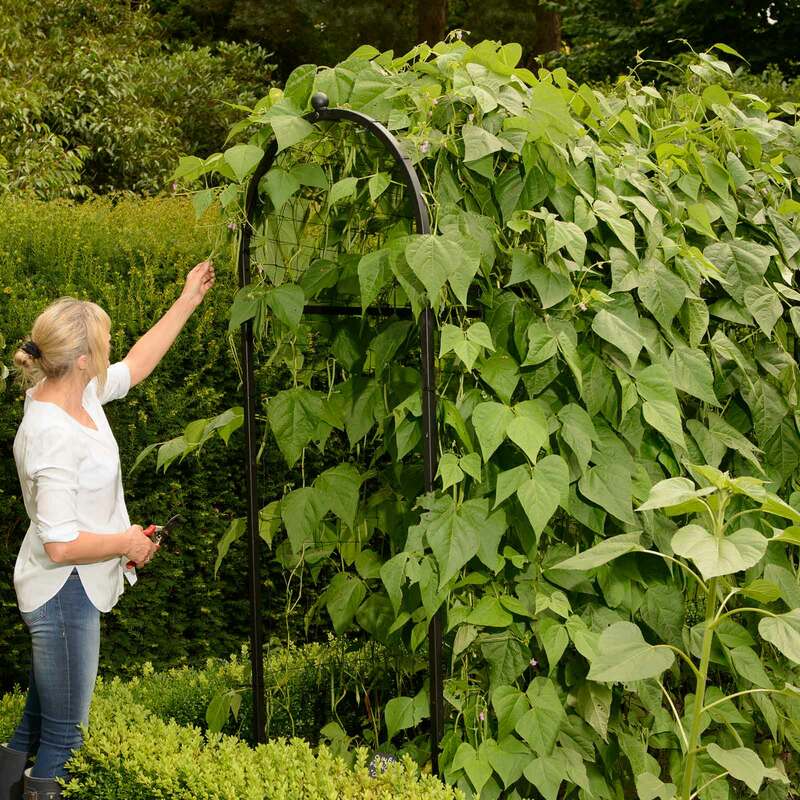 I had to cover them up for a couple of nights with newspaper when the temperature dropped, but they survived and now they have gone berserk. What is not apparent when you buy this frame is that it doubles the amount of growing area, so for our three metre frame we have six metres of beans, and they are producing faster than we can eat them, with the result that we are making a lot of our near neighbours very happy. 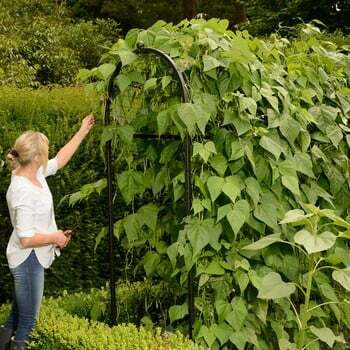 If I have a criticism it when picking beans inside the frame, you have to be careful, as you are sharing it with about 30 bees.